It’s showtime for the Davis second graders. On Wednesday morning, parents and others in the school community will gather in the auditorium to view a narrated slideshow of the 49 photographs that document the Davis neighborhood. For those of you who cannot be there or who want to see the photographs again, I have put a gallery on my website. 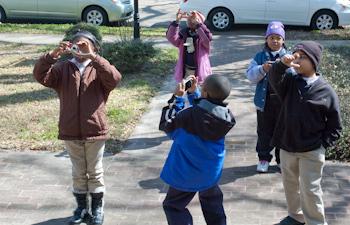 Click on the photographs tab and then the Neighborhood Student Project. We are printing and matting 8 x 10 copies of the photographs for an exhibit next month. I’ll keep you posted on that. Sarah, what marvelous photos! You must be so proud of your students. They did a great job. And you did too, teach!